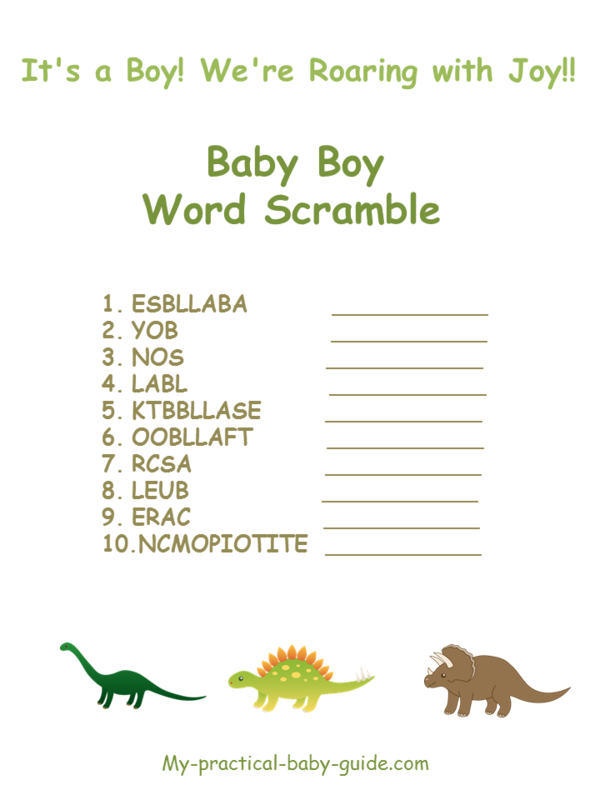 Here is a free printable baby names word scramble game card. 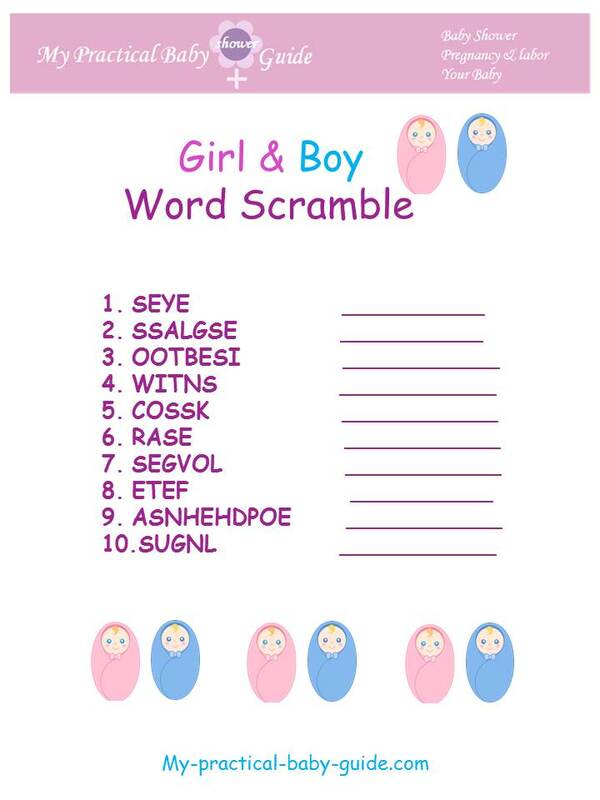 These scrambled up baby names are among the Top Baby Names of 2011. 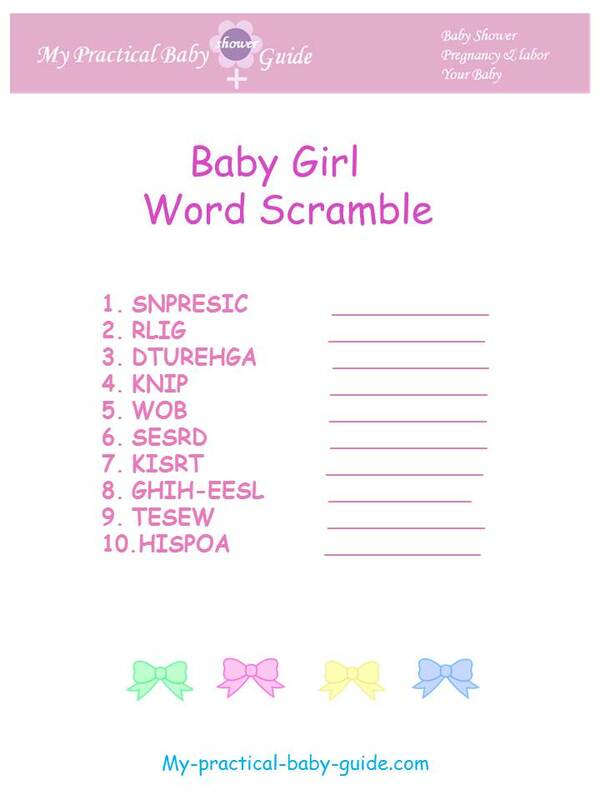 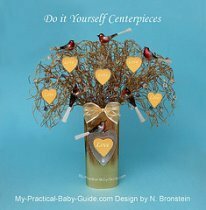 Everyone at the baby shower will LOVE to know which names are the most popular these days! 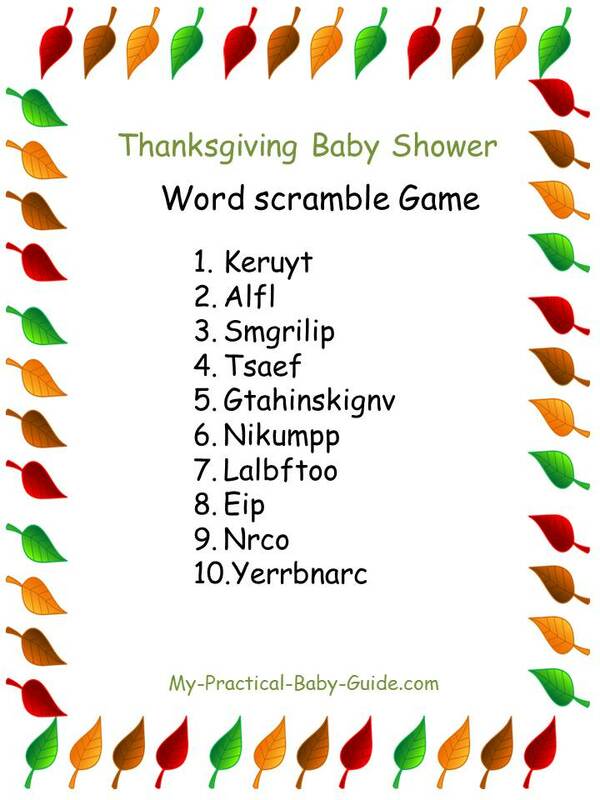 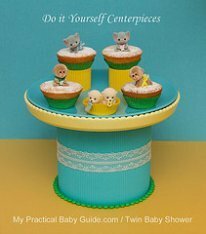 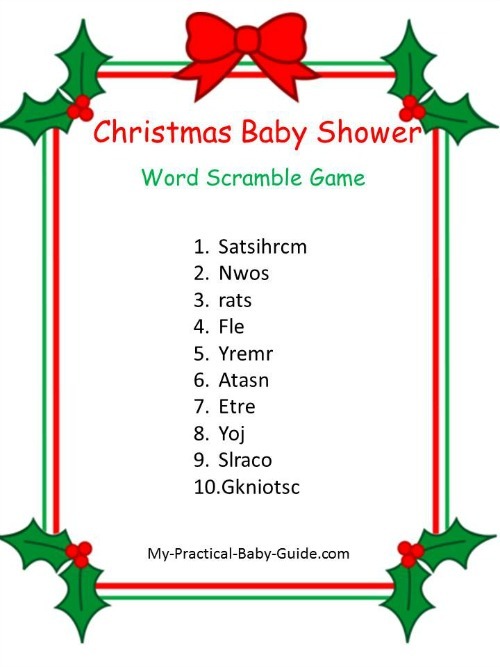 This free Baby Shower Word Scramble Game card is all ready for you to print off as many copies as you need for all your guests. 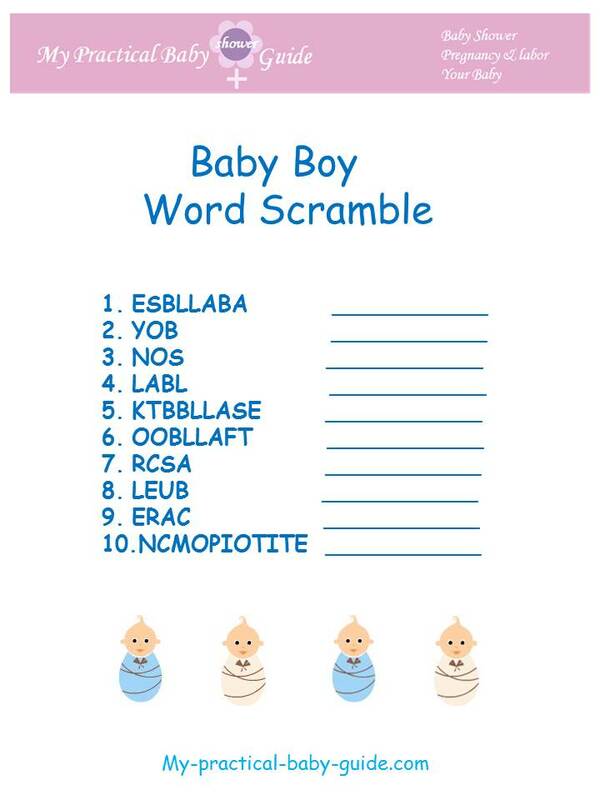 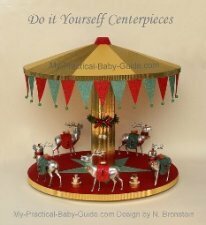 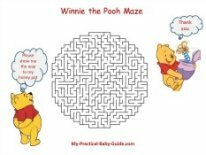 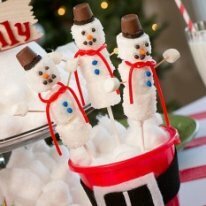 You can print off as many copies as you need for all of your guests.